An unforgettable evening of dance and music. Book through Paypal in the link below stating how many tickets you want in the next page. 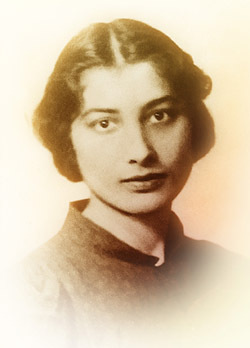 on 25 August for the tribute concert for Noor Inayat Khan. Talk on Noor Inayat Khan by Shrabani Basu at Beaulieu, the venue that she trained for the SOE. 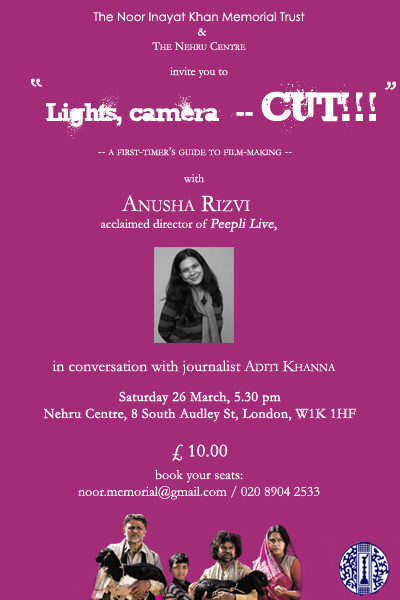 SCREENING OF AWARD-WINNING FILM PEEPLI LIVE Followed by DIRECTOR'S CUT WITH ANUSH RIZVI. 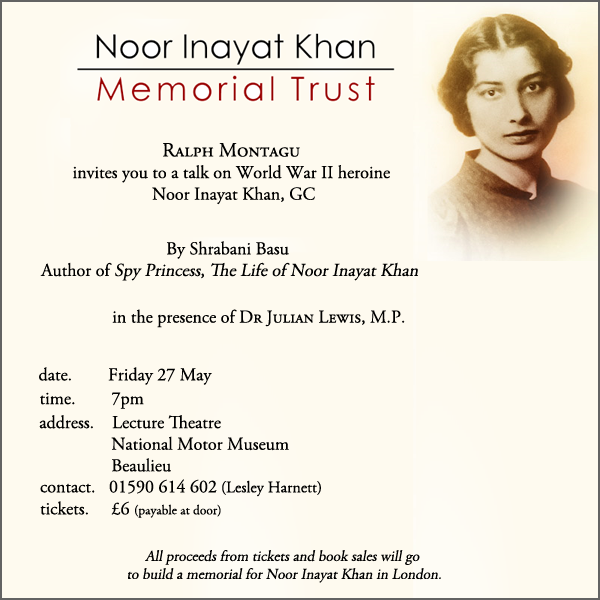 Please come and support our fund-raising event for the Noor Inayat Khan Memorial Trust! Bring your friends along! "film workshop" as a reference. 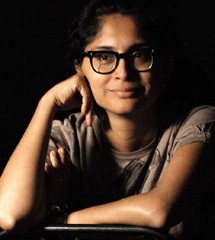 Talk on Noor Inayat Khan by Shrabani Basu. Click Here to view the full poster. 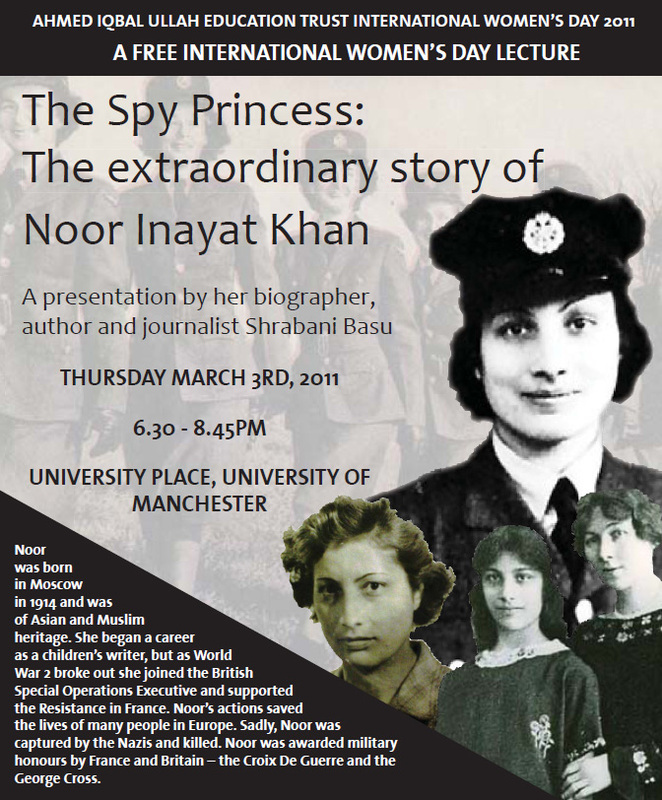 The Intelligence Trail is organising a special themed spy walk (1909-1945) to raise money for the Noor Inayat Khan Memorial Trust. Walkers will learn about modern day intelligence services and the early years of MI6, the Cambridge Spy Ring and others. Noor's organisation, the SOE, will also be discussed. 30th Jan 2011 -- THIS EVENT IS NOW FULLY BOOKED! 3.00 p.m. (tea) 4.00 p.m. 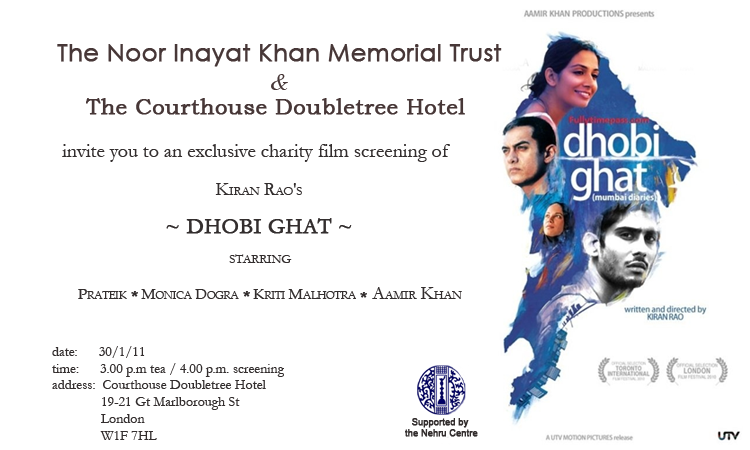 Screening In association with The Nehru Centre. £15.00 Reserve your seats for this critically acclaimed film. 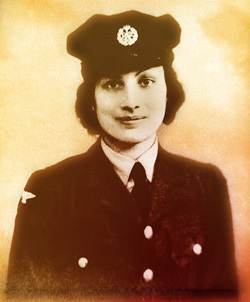 Cheques payable to Noor Inayat Khan Memorial Trust.